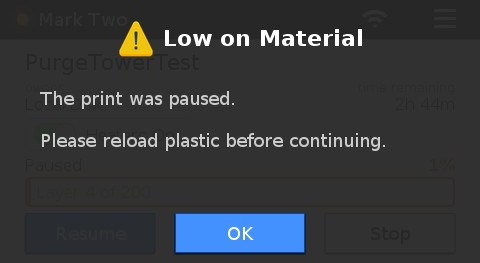 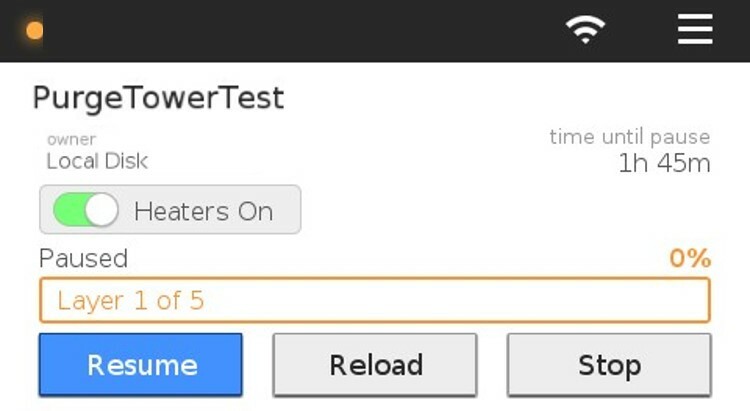 The Auto-Pause feature is designed to alert users if they are running low on plastic or fiber, so that your printer doesn't run out of material during a print. 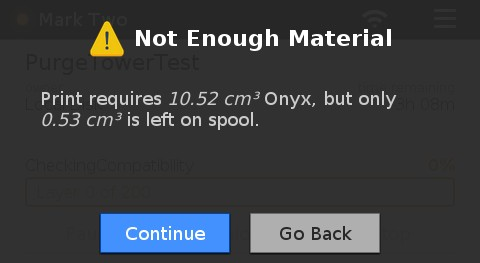 This feature only works if you use the Meter Load option when loading materials. 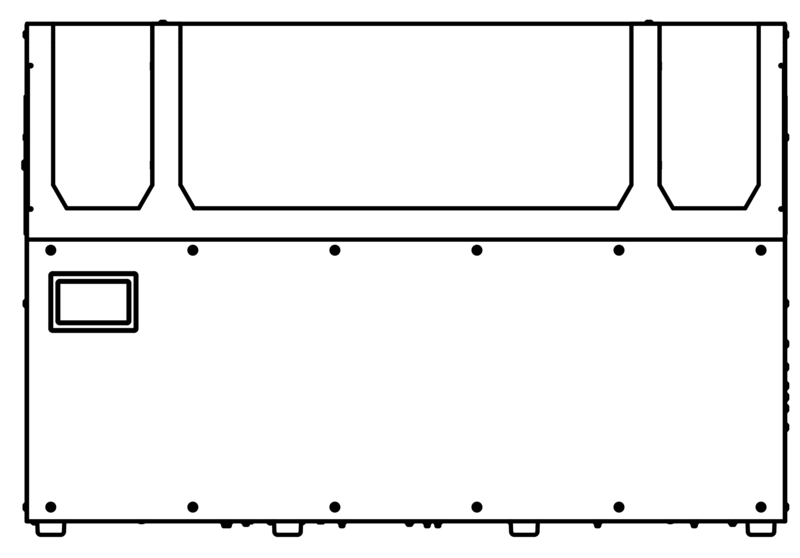 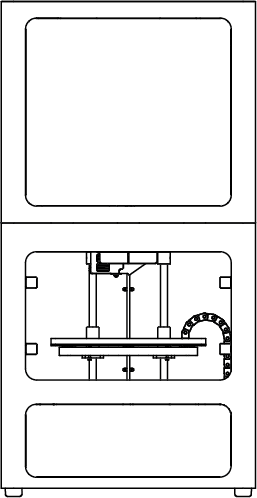 For more information on Meter Loading, please see the Load Plastic or the Load Fiber Support articles. 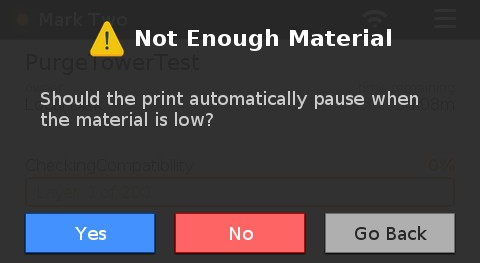 Cancel the Print: The print will be canceled and can be resumed again at any point in the future. 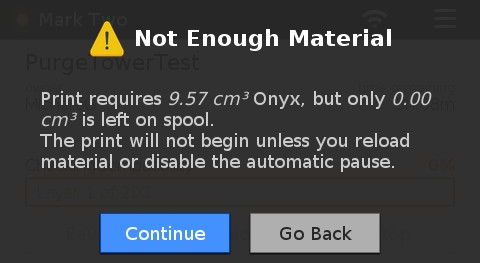 When printing a part from on-board storage or from your printer's queue, your printer will check to see if there is enough material loaded to run the print. 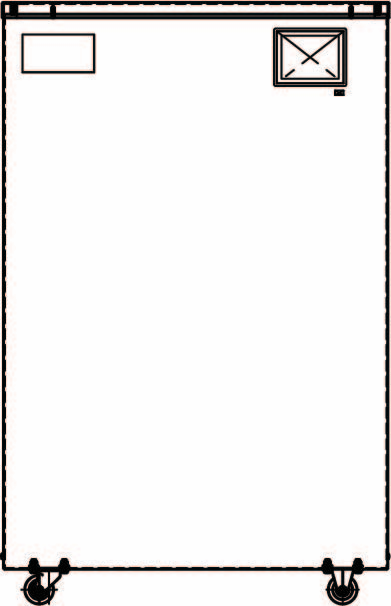 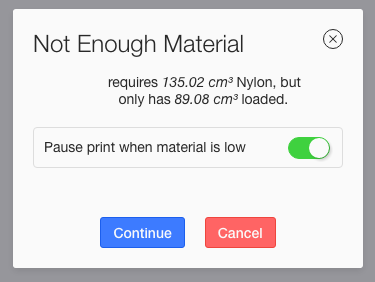 If either or all materials are too low, you will receive an on-screen notification and will be presented with options for the print.